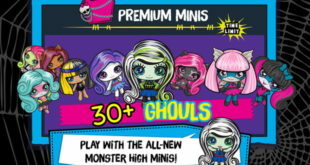 Monster High Minis Mania will boast a series of levels, themes and the official voices of the Monster High animated series including Frankie Stein and Draculaura. 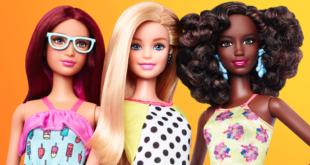 New launch is an extension of a partnership that has already seen the firm release apparel featuring Mattel’s popular brands Barbie and Monster High. Turner Broadcasting System reveals that the popular children’s networks will air more than 800 minutes of new Mattel content in a variety of formats, including movies, features and webisodes. Firm awarded Overall Publishing Product of the Year 2014. The new digital themed Monster High music video was teased for 24 hours on the site yesterday. Guests were given a Monster High branded double decker bus for an interactive tour of London. Collaboration aims to engage new and existing fans of the doll brand.